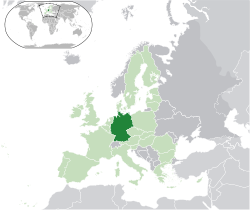 Germany, officially the Federal Republic of Germany is a federal parliamentary republic in Europe. 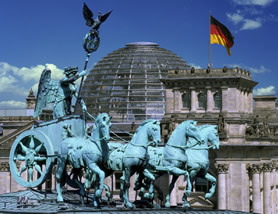 The country consists of sixteen states while the capital and largest city is Berlin. It covers an area of 357,021 km2 and has a largely temperate seasonal climate. 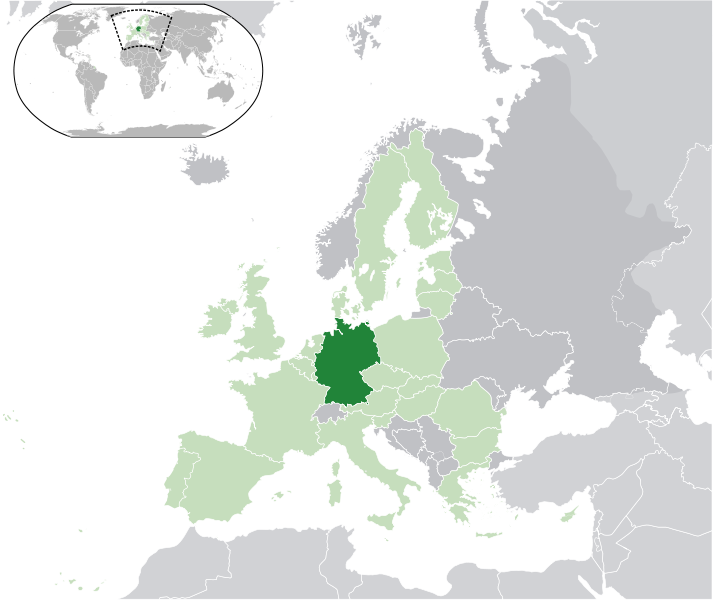 With 81.8 million inhabitants, it is the most populous member state and the largest economy in the European Union. It is one of the major political powers of the European continent and a technological leader in many fields. 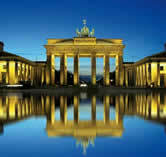 Berlin is the capital city of Germany and is one of the 16 states of Germany. 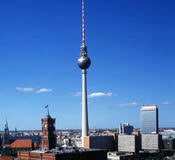 With a population of 3.45 million people, Berlin is Germany's largest city. It is the second most populous city proper and the seventh most populous urban area in the European Union. Located in northeastern Germany, it is the center of the Berlin/Brandenburg Metropolitan Region, which has 4.4 million residents from over 190 nations. Located in the European Plains, Berlin is influenced by a temperate seasonal climate. 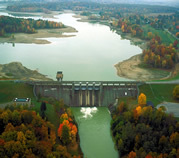 Around one third of the city's area is composed of forests, parks, gardens, rivers and lakes. Berlin is home to renowned universities, research institutes, orchestras, museums, and celebrities, as well as host of many sporting events. Its urban settings and historical legacy have made it a popular location for international film productions. The city is well renowned for its festivals, diverse architecture, nightlife, contemporary arts, public transportation networks and a high quality of living.